Replace worn or broken casters and wheels with these factory replacements. 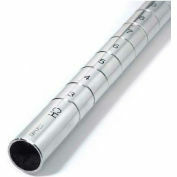 Specifically designed and manufactured by Nexel® for their wide assortment of Global Industrial™ Wire Shelf Material Handling Carts and Trucks. 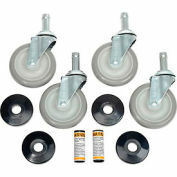 Set of 4 Casters. Includes donut bumpers to help protect doorways and walls. Attaches to bottom of post. 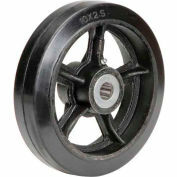 These casters are used on production carts that are heavily used 5 days, 2 F/T shifts. The very best is needed. I don't use the products myself. These items are ordered for the guys in our Plant Services department and they are requesting the orders. I place the orders for them here in Materials Management. Thank you! Your review: I don't use the products myself. These items are ordered for the guys in our Plant Services department and they are requesting the orders. I place the orders for them here in Materials Management. Thank you! 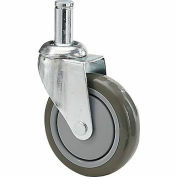 Your review: These casters are used on production carts that are heavily used 5 days, 2 F/T shifts. The very best is needed. 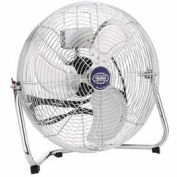 Your review: Tried a lot of wheels that come with shelving, from local department stores and hardware stores, as well as specialty caster web site, but all have a 120 pound or less rating, and all broke under load. 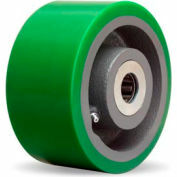 These are 1200 pound rated (300 per wheel? 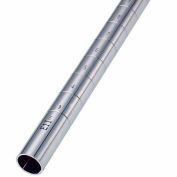 ), roll smoothly on hard floors or carpet and hold up to heavy loads. Highly recommended! Your review: This is exactly what I needed! 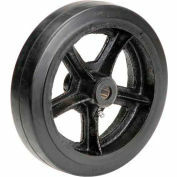 Nexel Casters for Hand Cart 5"
Your review: Casters for Hand Cart are of same quality as Casters originally on cart. 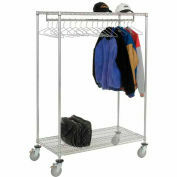 Your review: Worked with the cart we have even though they are from a different manufacturer. Your review: worked well for our cart even though the cart is from a different manufacturer. Your review: they are great! 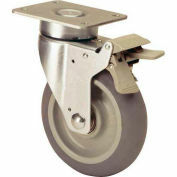 Your review: These casters are great and when assembled on a Nexel shelving item they fit wonderfully. However if purchased with one of the generic shelving units they are a tiny bit larger and have to be forced by hammering into the posts. 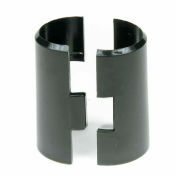 Your review: These are sturdy and durable, and just as described. Easy to install and quick delivery. Your review: Have never had a problem ordering this item. 10" x 2-1/2" Mold-On Rubber Wheel - Axle Size 3/4"